Solid massage chairs can be difficult to come by. They’re either too expensive or lack a feature or two that you’re looking for. 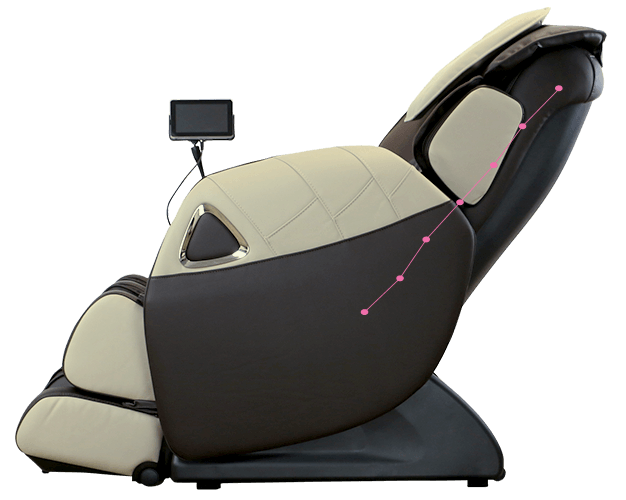 Ogawa Refresh massage chair promises to satisfy many with a number of features. While it’s not the complete package, it’s still a massage chair to consider when on a budget. Primarily intended for casual users and hobbyists, Refresh Plus provides genuine relief and a soothing massage. Have a look at my review. Perhaps this comfortable chair is something you want around after a hard day’s work. It just might tick all demands on your wish list! To find out whick mdels is the best right now, read my massage chair review guide. Ogawa refresh is an entry-level massage chair on a budget that is well-equipped for a casual user. If you’re looking for anything more therapeutic, there are a few alternatives at the bottom of this article. Still, don’t underestimate this Plus massage chair. Ogawa boasts with its quality, and you still might be surprised at all the features this massage chair packs. 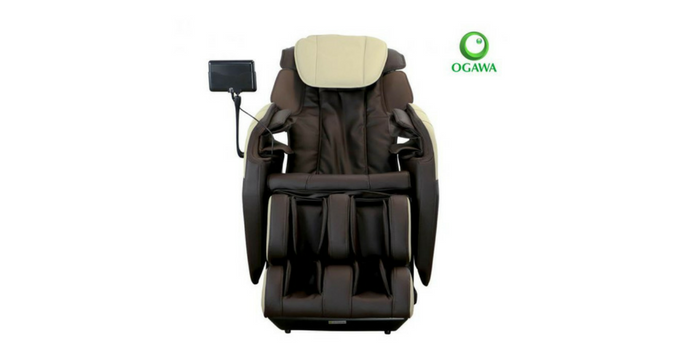 Ogawa Refresh comes with and S-track design, which is quite common for massage chairs with a higher price tag. At the same time, this feature is slightly disappointing. 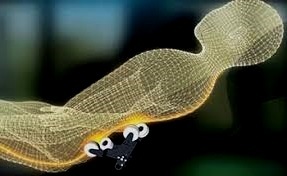 The S-track does follow the natural curve of your spine, but it’s the L-track that extends much further. If you’re looking for a back massage and don’t really care about your glutes and thighs, the S-track is a great option! Apart from this, the Ogawa massage chair comes with quad rollers, which is very common with many massage chairs. Keep in mind that these are not 3D rollers, which makes this massage chair inferior to some of its competitors. 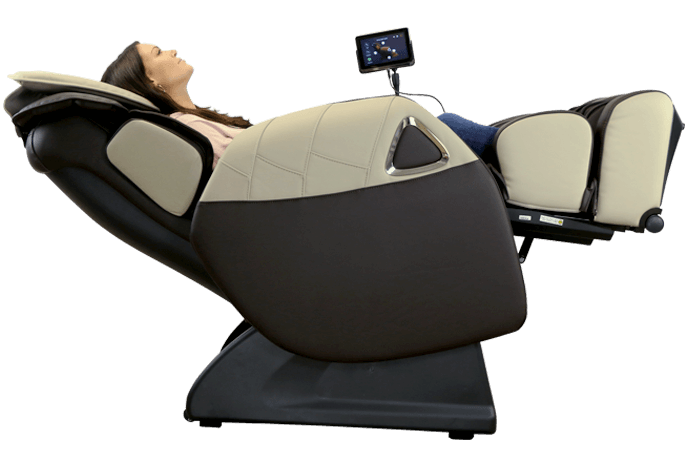 In order for the chair boost the massage experience, the body scan is used to locate your pressure points. By doing so, the massage chair adjusts the position of the rollers to make sure they hit all the sensitive spots. Ogawa went one step further and added a manual adjustment option. In case the chair misses a spot, you can tune the position of the rollers yourself. This is definitely a big advantage that only improves the quality of the massage. A very popular feature that was originally inspired by NASA, zero gravity is almost a must with many chairs. A lot of low-budget massage chairs come with at least one level, and Ogawa Refresh has two-level zero gravity options. This feature would be much more beneficial with a 3D roller system. That would enable the customers an improved, a more thorough, and even deep tissue massage experience. While the current features provide a beneficial massage for your back, the experience is not the same as with the 3D rollers. Ogawa Refresh comes with seven massage techniques: Shiatsu, Kneading, Clapping, Tapping, Rolling, Kneading and Tapping, and Swedish. You are free to regulate the intensity of the massage as well as the speed of the rollers through five different levels. As if that’s not enough, Plus massage chair also has an option of partial and spot massage modes. 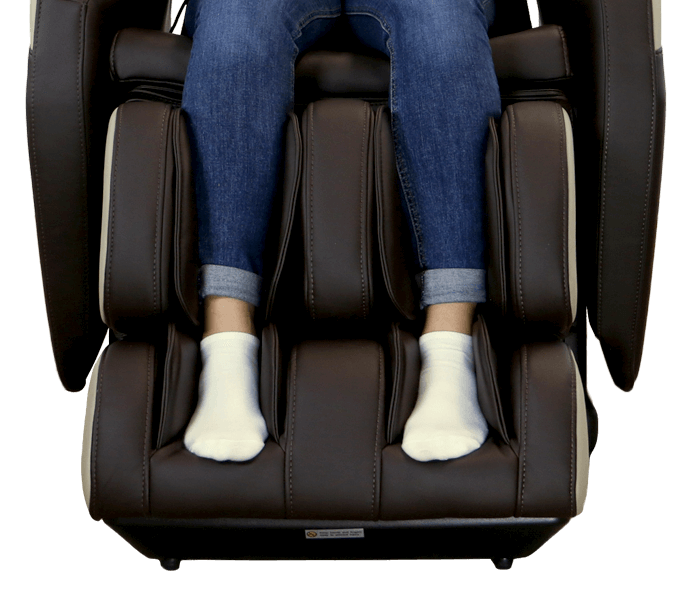 Again, if you’re looking for a more therapeutic massage chair, this Ogawa may not be for you even though it comes with a body stretch program. It’s quite basic, and you may find it soothing. However, for an instant relief and a more intense program, see below for the alternatives to this massage chair. Ogawa Refresh has 42 airbags strategically placed around the chair. You can regulate the intensity through three different levels. For those who want a more specific massage, you can choose between a whole body massage or an area massage, such as a shoulder and neck massage, hand and arm massage, calf and foot massage. This feature is very beneficial. Even though not all zero gravity recliners include this feature, it is very common to see it in this price range. 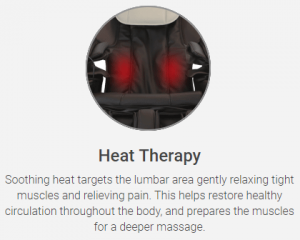 The Refresh Plus provides the heat in the lumbar area. Combined with a zero-gravity massage, the result is soothing and truly therapeutic. With a combination of root rollers and airbags, this feature of Ogawa Refresh is relatively good. The overall massage experience may not be as good since the chair lacks heat in the calf or feet area. Still, it is very welcome for all of you who spend a lot of your time on your feet! Ogawa Plus has no remote control. It comes with an Android tablet through which you control the chair and its functions. The tabled is wired, not wireless, but you can listen to music, watch movies, and surf the Internet while enjoying a soothing massage. The tablet is easy to use but if you’re not the one for electronics, you may need some time and a slight learning curve to familiarize with all this massage chair has to offer. Ogawa is a company originally from Malaysia. They claim to have more than 20 years of experience in making health and wellness equipment. They focus on the customers and their specific needs. You can read more about Ogawa on their Ogawa World USA website. For those of you who like to try before you buy, the Ogawa has a showroom in Los Angeles. 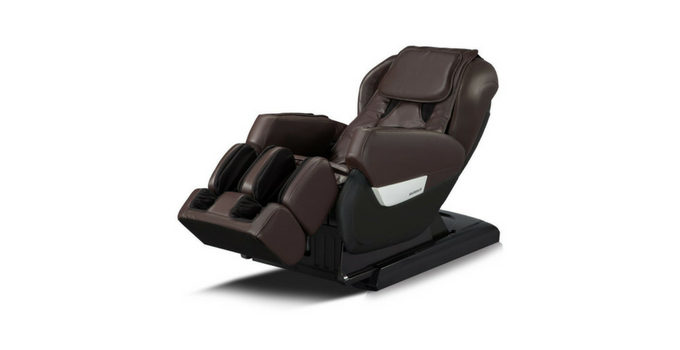 Apart from the Ogawa massage chairs, the company also offers massagers, zero gravity recliners, and Cozzia massage chairs. What’s more, the company has a very clear delivery information. They offer a free curbside delivery. They ship to 48 states. For and additional Hawaii and Alaska shipping, turn to their customer service. For an additional fee of $200, the customers are welcome to purchase the White Glove delivery. Ogawa Refresh massage chairs are manufactured in China. The chair comes with a three-year warranty. 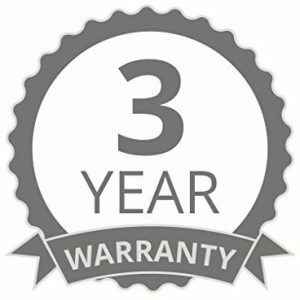 All customers have an option to purchase the extended warranty for additional three years. The fee is $250. For more information, see these conditions. Plus massage chair is made of synthetic leather. You can download the manual pdf file here. This massage chair is relatively large which is why White Glove service is recommended. The chair weighs 176 lbs and is able to accommodate users up to 300 lbs. f you don’t have specific therapeutic demands due to a chronical back pain, this chair could serve you well! While the S-track can be a drawback, it’s a very common design in many massage chairs. With the extensive massage features and options, Ogawa has some very strong points that are difficult to overlook. A good air massage mode, various massage options, and a soothing calf and feet massage are definitely something to consider. Yes, this massage chair lacks additional heat areas and 3D rollers. But overall, this could be a comfortable addition to your living room. A great chair for taller users, MK-IV massage chair recliner, has many features of mid-end massage chairs but stays on a budget. While Ogawa comes with an S-track design, MK-IV has a hybrid S/L-track design. This is a slightly more superior massage option, even though the L-track is quite short. Still, it provides a better massage quality with this small upgrade than Ogawa. In terms of zero gravity feature, Plus massage chair has two zero-gravity levels, and RelaxOnChair has three levels. One extra level is definitely a welcome addition but also Ogawa zero gravity feature is already very beneficial with only two. 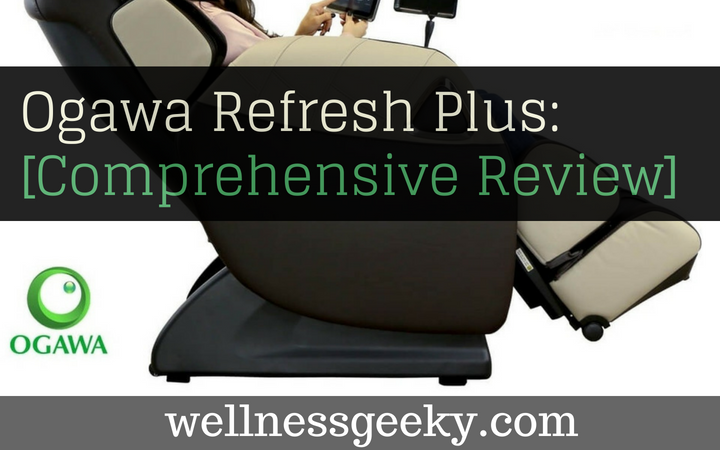 When it comes to massage options, Ogawa Refresh Plus is a definite winner. MK-IV has five massage techniques and five auto-programmed massages, but there is no spot nor zone massage available. Ogawa has much three more massage options along with a spot/partial massage. Ogawa and MK-IV are very similar when it comes to features and upgrades they have to offer. They complement each other in some of the modes and options they offer. RelaxOnChair comes with a space saving design, which is a great plus for some users. Otherwise, this is a close match. Overall, we’d decide for Ogawa, just because their customer service is much better. Also, we can’t deny the massage options are more extensive than those of MK-IV. For a better massage quality, Ogawa is the chair to choose. 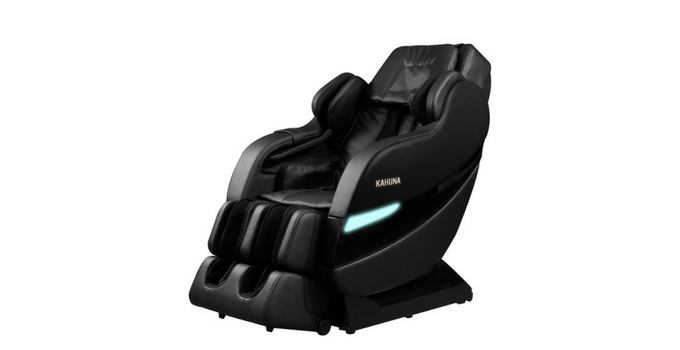 Kahuna is a name that started off as an off-brand, but it’s become well-recognized in the massage chair world. Suitable for taller users, those with chronic pain, and the casual users, SM-7300 is quite exceptional. The first major difference is already in the S-track design. Refresh Plus may claim it’s beneficial, but SM-7300 comes with a hybrid S/L-track design that follows the curve of your spine and extends all the way to the glutes and thighs. At the same time, it also comes with a six-roller system which is notably better and more advanced than the quad rollers. SM-7300 massage chair is also more advanced when it comes to massage techniques and options. Above all, it also overs zone massage options and a body stretch function. Kahuna is known for its body stretch quality. “Yoga Stretch” is able to provide an instant relief by relieving the pressure from the spine. At the same time, Kahuna comes with only 18 airbags and cannot perform such an excellent air massage as can Ogawa with its 42 airbags. The two massage chairs are in the same price range. Kahuna doesn’t come with a touchscreen tablet, but we can’t think of any serious disadvantages it might have. Refresh Plus is a good quality massage chair that provides a good massage to any casual users out there. In case you’re looking for something more therapeutic, your obvious choice would be Kahuna. It caters to tall and bigger users. Those who suffer from chronic pain, look no further.